Borrow up to 90% of appraised value for up to 10 years – For qualified borrowers. Save with Plus and Relationship benefits and electronic payment  Save on rates when you qualify for Plus and Relationship benefits on your DCU Checking Account and make payments electronically (payment by transfer in Online Banking, Mobile Banking, Easy Touch Telephone Teller, DCU ATM, or internal DCU automatic transfers). Add 0.50% to rate for other payment methods. Other details – All vehicles must be titled. No reconstructed vehicles. Proof of insurance is required (full coverage, liability and collision). Antique vehicles, Classic vehicles, and Kit Cars (completed kit and replicas). Certain Classic and Antique vehicles may require an appraisal to determine their value and may subject to a maximum loan of 90% of the appraised value. * Rates are determined by your personal credit history, account relationship, and payment method. Rates listed are for consumer loans. Rates on commercial vehicle loans are 1% to 3% over rates listed. Certain Business Vehicle and Equipment loans may be subject to a maximum loan of 80% of the purchase price. 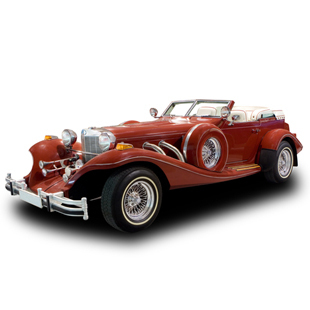 Classic and Antique Car Loans is rated 4.3 out of 5 by 6. Rated 5 out of 5 by Sher from To the best of my knowledge, DCU is the only banking institute that offers "trade in your loan". DCU is wonderful. All banking institutes should have your policies and products. DCU has always come through for me. God bless America. God bless DCU. Rated 5 out of 5 by Stevenh from Really Good News! I experienced some issues on a Classic Car Loan from DCU. I raised my concerns to DCU. Jeff, the Loan Supervisor contacted me and apologized on behalf of DCU for the issues I had experienced. But then performed two actions that have made me a DCU customer of life. It is a great company that admits shortcomings and then extends GREAT customer service. If you are looking for a Bank there is DCU and then there are others but why bother with them. Rated 1 out of 5 by Nel from Slower than cold molasses! Applied, accepted, DCU needed more info, submitted. It's been an entire week and still no word and no money. The seller found a buyer with cash and I missed out on the car. A loan should not take this long!!! What are my options for a 1966 Ford Mustang? I saw from previous question that you offer up to 40 year old car. DCU offers Classic and Antique Auto Loans. You may receive more details and apply online at https://www.dcu.org/loans/auto-antique.html or by phone at (800) 328-8797 option 3. What are the vehicle criteria to be eligible for a Classic car loan? Age, mileage, etc? Classic cars are generally 20 years or older but not more than 40 years old. Depending on the vehicle itself and its listed value, an appraisal may be required. The vehicle must be registered, fully insured, and roadworthy. Proof of insurance is required before financing. Currently looking into purchasing a 2002 year vehicle. Car is a limited edition, 1 of 2000 or so made. Would that be considered a classic? if not what type of loan do you suggest applying for. The definition of classic car is actually quite similar to that of antique cars. A car must be at least 20 years old, but not more than 40 years old to be considered a classic car. It should have been repaired and maintained in a way that keeps it true to its original design with no modifications or alterations. Typical used car loans, that do not fall under the class or antique criteria, must be paid in full before the vehicle reaches 12 years of age. Does DCU have any requirements with regards to minimum, maximum amount financed? does DCU require a deposit or can 100% of the purchase price be financed? The maximum amount DCU can finance is 120% of the vehicle's value. This is helpful for qualifying members in covering the cost of tax, title and registration fees. You would need to apply to learn your eligibility and at what percentage of the vehicle's value you qualify to finance. DCU offers financing for a maximum of 100% of the current value of the vehicle for qualified borrowers. This would be considered an Auto Loan and in order to determine if you are eligible we ask that you apply. You may apply online at https://www.dcu.org/loans/auto-choices.html or by phone at (800) 328-8797 option 3. DCU exceeded all my expectations and I was pleasantly surprised by their excellent customer service. AAA service, AAA product from AAA company! Way to go on keeping your customers happy! DCU Auto Insurance – You can count on us for good service, good value, and expert help in choosing the best auto insurance solution for you and your family. Intent to Sell Form – Provide to DCU if you are buying a classic or antique car through a private sale. StreetWise Available Cash Calculator – Learn the most you should pay for your next car and the amount of cash your desired loan payment will get you.